One of them has it all. One of them wants it all. But they can't both win. After graduation, Violet moves to New York and lands a job in cable news, where she works her way up from intern to assistant to producer, and to a life where she's finally free from Stella's shadow. 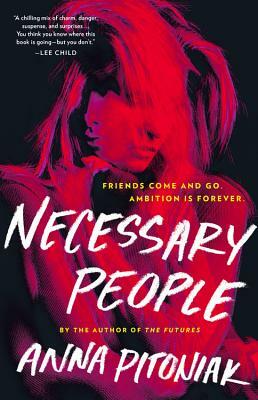 In this fast-paced world, Violet thrives, and her ambitions grow---but everything is jeopardized when Stella, envious of Violet's new life, uses her connections, beauty, and charisma to get hired at the same network. Stella soon moves in front of the camera, becoming the public face of the stories that Violet has worked tirelessly to produce---and taking all the credit. Stella might be the one with the rich family and the right friends, but Violet isn't giving up so easily. As she and Stella strive for success, each reveals just how far she'll go to get what she wants--even if it means destroying the other person along the way.